A friend gave a bottle of water to me as a gift. She had decorated the outside of the swirled plastic bottle with colourful paper in the middle. We all have to have water to live. God gives us that water. He causes the rain to come. He provides the source for our water. The river of God is full of water–everything that we will ever need is readily available from God. 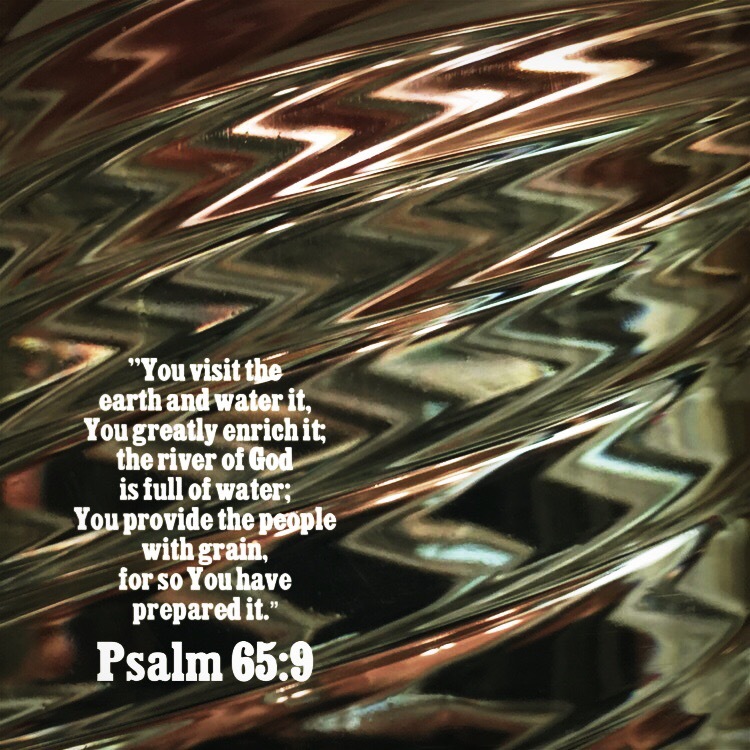 This entry was posted in Bible verses on photos, Inspirational photography and tagged God, provision, water.